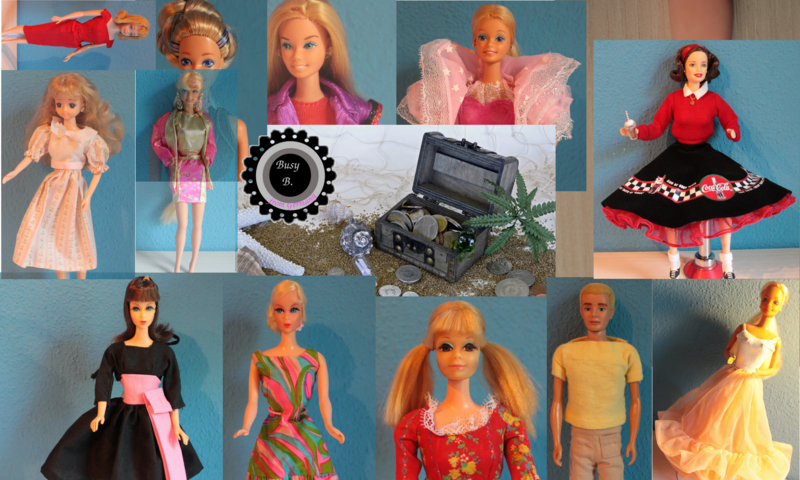 Today I’d like to show you now my Holiday Barbie Collection. 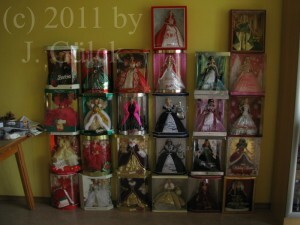 She contains the first 10 Happy Holidays Barbie dolls from 1988 -1998, the Millennium Holiday Barbie dolls and continues from 2001 to 2011. The only dolls missing are the Happy Holidays Barbie 1997 (blonde hair), the Holiday Visions Barbie doll from 2003 and the Holiday 2004 Barbie doll in burgundy dress(Sears exclusive).